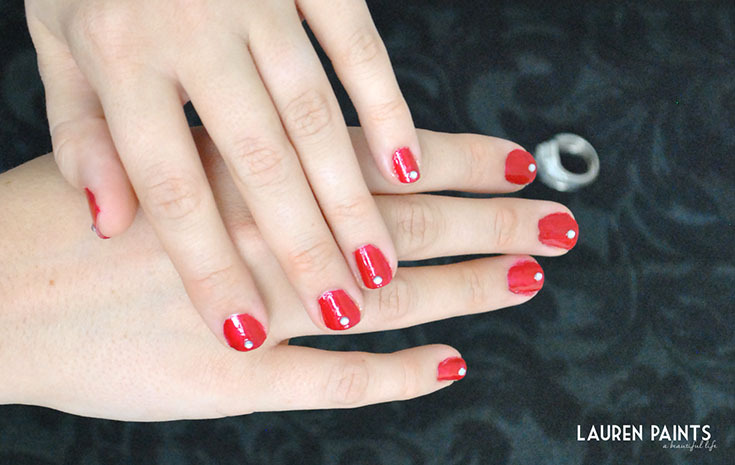 Nailed It: DIY Chip-Free Manicure - This Christmas #DazzlewithVB Cosmetics & Dazzle Dry! I've never been one to hide the fact that I like to pamper myself and if you've been reading recently you may have picked up on the fact I like pretty nails... but I live a busy life and unless I go to the salon I usually don't let them dry long enough to set and they always turn out looking wonky. Plus sometimes when I do decide to treat myself to a salon visit, they chip the next day and then I just feel like it's a lost cause. Finding a polish that matches my busy schedule has been a tough mission, but I can officially say mission accomplished. I nailed the perfect at home mani, I'm so happy I could shout it from the rooftops! I love Dazzle Dry's Nail Kit from VB Cosmetics! The Dazzle Dry Nail Kit is a life saver; I now have a polished and pretty mani that will last for four weeks without chipping. Plus, the polish dries rock hard in just five minutes leaving me with plenty of time to complete my to-do list! I compare my Dazzle Dry Nail System to getting an expensive gel manicure at the salon, except it doesn't involve a UV light and it also doesn't include toxins. They sent over the most adorable mini kit in a cheery shade of High Velocity Red and I cant wait to wow my family and friends with my adorable Christmas themed nails. I think I may even surprise a few of my closest girlies with a little something in their stocking this year - every girl needs The Dazzle Dry Nail System! I'm definitely adding this product to my holiday gift guide for all the fashionistas and divas in your life. 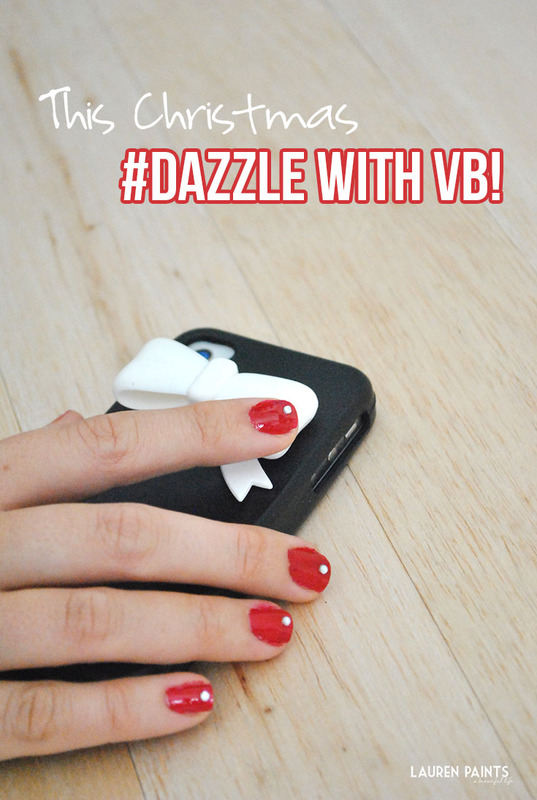 This Christmas #DazzlewithVB! You may be wondering, what the mini kit includes? I received the Nail Prep (7.5ml), the Base Coat (5ml), the Top Coat (5ml) with the polish color of your choice(5ml). This kit is good for numerous mani's and at only $20, it's a steal compared to salon mani! Dazzle Dry has polishes in all kinds of colors and full size kits as well as glitter polishes and cracking polishes... a little bit of everything for all different styles! I decided to add a rhinestone to my mani on the center of each nail and I love how it turned out. All I did was use a little bit of clear coat to make a "glue" for the rhinestone and placed it on my nail in between the red polish and the top coat. I followed the directions sent with my kit to a tee and my mani turned out amazing. I would like to extend my gratitude to Vb Cosmetics for sending over a kit and sponsoring this post, I'm absolutely in love with their kits and can't wait to treat my best friends with a perfect at home mani kit as well!